Two special travel agents can help you blast off into the final frontier. Space tourism is no longer the stuff of sci-fi films set in a galaxy far, far away. Booking a trip outside the Earth’s atmosphere is as close as a visit to a local travel agent. 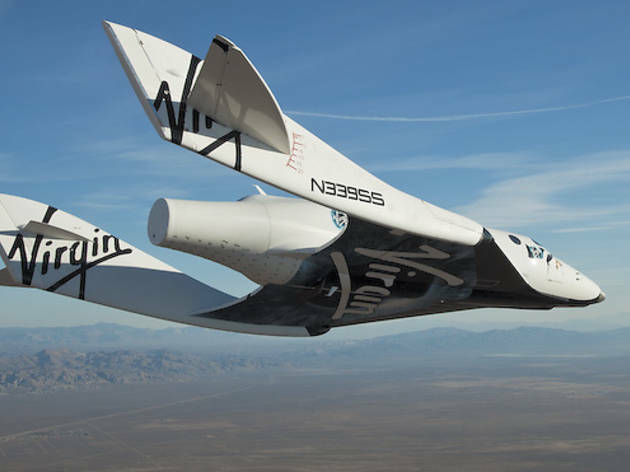 By the end of the year, billionaire mogul Richard Branson’s Virgin Galactic plans to be the first company to start sending commercial flights just beyond the space barrier on a six-passenger rocket. The two-and-a-half hour, $200,000-per-seat voyage 62 miles above sea level features several minutes of weightlessness, at which point travelers will unbuckle and float about the cabin. If that sounds appealing (and you can afford the minimum $20,000 deposit), two Chicago travel pros of Virgin Galactic’s 58 “accredited space agents” can help you join the more than 450 people who’ve reserved a seat. The agents were also schooled in the science and technology behind the flight, which has been performed a dozen times by test pilots. 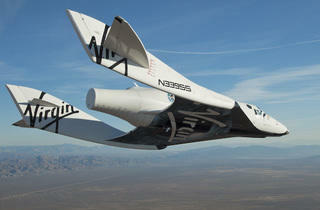 A mothership aircraft, White Knight Two, will take off carrying the rocket ship SpaceShipTwo. After reaching 50,000 feet, the rocket is released and blasts through the atmosphere in about 90 seconds, g-forces squashing the passengers against their seats. The amateur space cadets then float weightlessly for five to eight minutes, and get a picture snapped with the Earth in the background before SpaceShipTwo begins the 25-minute glide back down to the runway. The flight follows two days of on-the-ground parties, training in simulators and a pre-launch health check at Spaceport America, a hangar and runway in a desert basin 45 miles north of Las Cruces, New Mexico. The trip is in the price range of luxury travel. Krenzien says he books around-the-world trips and safari experiences that are comparable in cost. But at a relatively short 72 hours in a high-stress environment, the Virgin Galactic offering isn’t exactly luxurious. And for such a big-ticket trip, the unknowns are various: exact launch date, safety and what the experience will hold. To get a better idea, the agents offer to book interested parties on a $5,000 flight with the Zero G Corporation. The company’s modified Boeing 727 flies in parabolic arcs to create weightless environments. They also recommend a $6,000, two-day training program offered by Pennsylvania’s NASTAR that features flight simulators and g-force tolerance training designed for commercial suborbital travel.